New York Times bestselling author and critically acclaimed writer Tayari Jones will join Emory University's renowned Creative Writing Program this fall as a member of the English faculty in Emory College of Arts and Sciences. 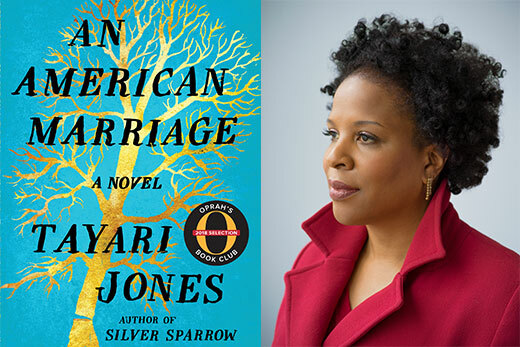 A native of Atlanta whose hometown features prominently in her writing, Jones is the author of four novels, most recently "An American Marriage" (Algonquin Books, 2018), an Oprah’s Book Club Selection this year. "It is a deep pleasure to welcome to our faculty an artist with the talent and reach of Tayari Jones. Her appointment extends Emory's remarkable record as a home to important voices in contemporary literature,” says Michael A. Elliott, Dean of Emory College of Arts and Sciences. Her other books include: "Leaving Atlanta," based on her experiences growing up during the Atlanta Child Murders; "The Untelling," also set in Atlanta and the recipient of the Lillian Smith Book Award; and "Silver Sparrow," selected by the National Endowment for the Arts’ Big Read Library of Contemporary Classics. "This appointment at Emory is truly a homecoming for me as a Southern writer. I'm thrilled to return home and teach creative writing at one of the best universities in the nation and the flagship for higher education in the South," Jones says. Jones is a graduate of Spelman College, where a class with Atlanta playwright and author Pearl Cleage her sophomore year fostered a passion for creative writing that set the course for her career. "A major draw for coming to Emory was the opportunity to teach and mentor undergraduates, and to foster the next generation by helping young writers find their voice and their path," Jones says. Jones also is a graduate of the University of Iowa and Arizona State University. She joins Emory from Rutgers University-Newark where she was a founding member of the university's MFA program in creative writing. A member of the Fellowship of Southern Writers, Jones is a recipient of the Hurston/Wright Legacy Award, the Lifetime Achievement Award in Fine Arts from the Congressional Black Caucus Foundation, United States Artist Fellowship, NEA Fellowship and Radcliffe Institute Bunting Fellowship. She has spent the 2017-18 academic year as the Shearing Fellow for Distinguished Writers at the Beverly Rogers, Carol C. Harter Black Mountain Institute at the University of Nevada, Las Vegas.